As you have probably noticed from posts of my daily style, I am not really a floral person. I tend to stick to solid colors, and the only print you will see is leopard. 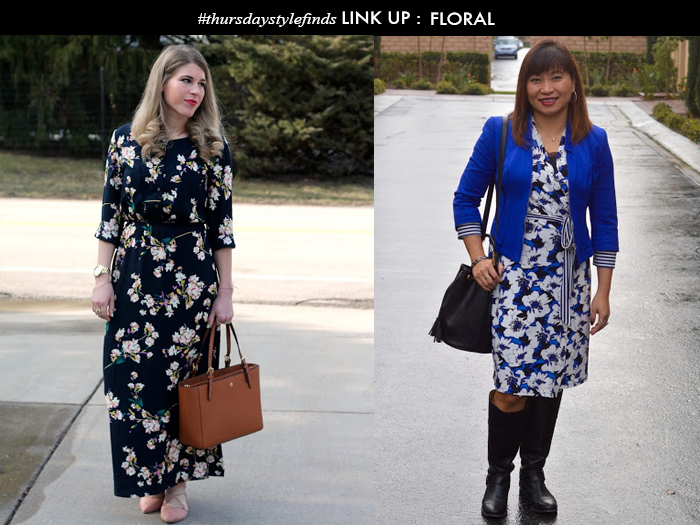 Since spring is coming - and a few bloggers last week linked up floral dresses, I was inspired to create a couple of floral looks. 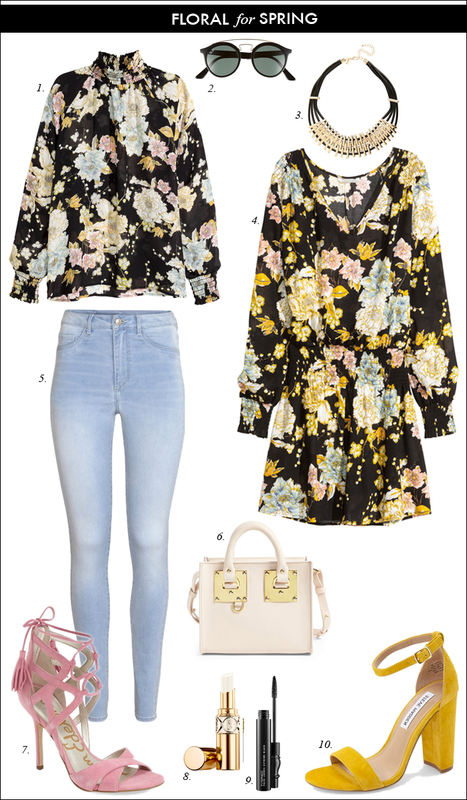 I think I might even wear the featured floral blouse with jeans. Floral does seem to be big this year. I picked up a floral tank myself. Love the blouse you picked. I cannot get enough floral lately!! That floral dress is stunning! Love those yellow sandals! Thank your for the linkup! These are both great floral looks! I am excited to get some of my Spring floral pieces out again! Lisa, I am not really a floral person, either. However, I really like the two pieces you have selected - the top is gorgeous! Thanks for hosting and Happy St. Patrick's day. I love both looks! Those heels are so fabulous. Amazing looks here, loving the yellow added to the florals. I absolutely love the pink lace up heels from Sam Edelman!! Great looks for both. OH I love that floral dress! I just got a floral cold shoulder dress this week! Can't wait to wear it. Thinking it's going to debut at a wedding shower I'm going to in a couple of weeks. Such a pretty floral romper!! I am so obsessed! You've got some really pretty pieces here, wow! I'm obsessing over that floral dress, which would look amazing paired with the accessories you've included in the set! Thanks so much for sharing and I hope you're having a wonderful day so far! Spring will not be Spring without florals! Love the inspiration! OOOH I love the pink shoes! I really like that floral blouse! I love the dark florals for spring. Those pink lace up heels are to die for. Thank you so much for the feature, totally made my day! So excited to be wearing florals again! I also got those pink Sam Edelman heels and am debating on whether to keep them or not! Oh, those are gorgeous pieces! Hope you're having a relaxing weekend! I want those Sam Edelman shoes!! They're beyond!! I cant get enough of that floral romper! So fun with those bright heels! The floral prints are so pretty! I wish I had found this link up sooner! I definitely have some good early-spring floral looks. Maybe I'll catch the next one. Nice job, ladies. Those pink heels are screaming my name! Love!